I have so many great books out from the library right now – it’s hard to choose which to read next. My decision is sometimes dictated by library availability and whether or not I’ve maxed out on renewals, so, based on a complicated formula (not really), I’m currently reading THE MUSEUM OF INTANGIBLE THINGS by Wendy Wunder. I’ve also just started critiquing a new YA contemp manuscript from the charming and talented Becky Barrow and it's pretty amazing so far. The fact that I’m writing at all is something of a miracle. I’ve renewed my goal to write every day, even if it’s only a tiny snippet or idea. I’m working on revisions of KEYS (broken record) and hope to have that thing in tip-top shape soon! School’s out for summer… and so we’ve settled into a new routine at our house. Even though the kids are on a more laid-back schedule, I need to get to work by 8 am (or earlier), so mornings are still a bit of a rush. There are no buses to miss, so at least I have that going for me. 2014 is the Summer of Adventure. I want to make this one a memorable summer for my kids, so we've got lots of adventures planned around Minnesota and Wisconsin. 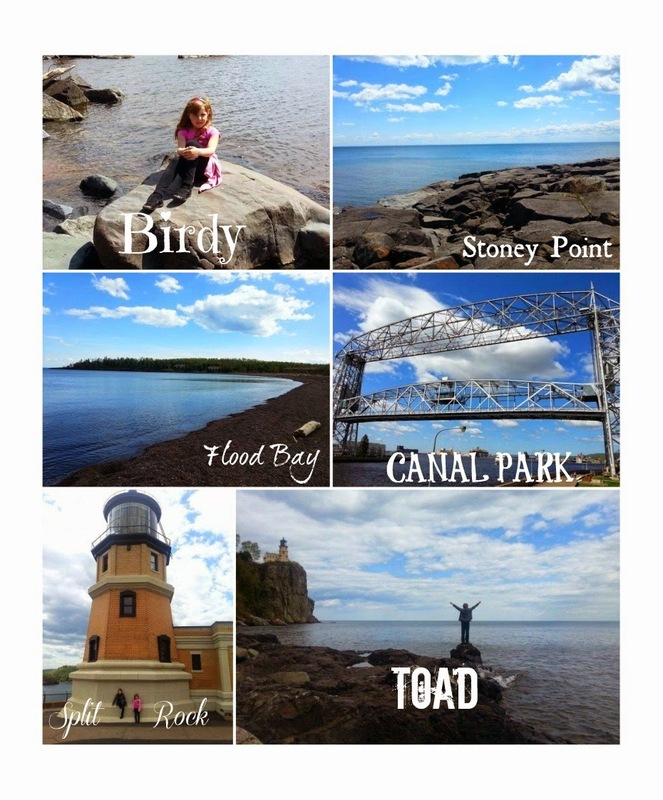 I took a couple of days off last week before my daughter's summer program started and my sister and the kids and I went up to the North Shore of Lake Superior (favorite place in the world). My sister said that even if you're going on an adventure in a place you've been before, you should do something that you've never done. What a great idea - one I plan to incorporate as we enjoy the summer. 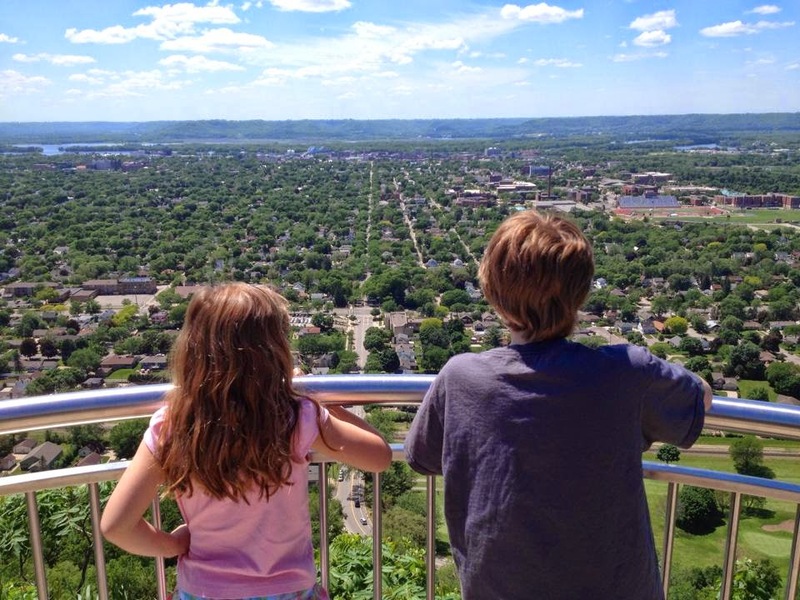 So far, we've had two adventures - the North Shore trip (Canal Park and Fitger's Brewhouse in Duluth, Stoney Point, Split Rock Lighthouse, and Flood Bay in Two Harbors) and a visit to Grandad Bluff in La Crosse, WI. Up next: Signing the kids up for the local library's summer reading program; Toad will spend this upcoming weekend canoeing down the St. Croix River; Hammer Guy is going to Colorado for several days for work; and Birdy and I will have the weekend to do lots of fun stuff together, including a Harry Potter movie marathon (she can only watch the first three), mani-pedis, and learning to ride her bike without training wheels. It was wonderful and rejuvenating to visit the North Shore last week. I'm inspired by those gorgeous landscapes and by my kids, who seem to have both reached an age of engagement and wonder (although they still struggle with long car rides) and have really enjoyed all the places we've visited recently. 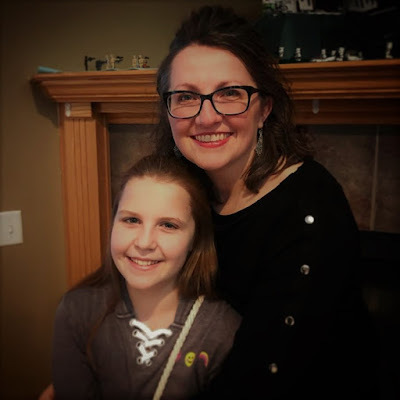 I love that they both love to read and write - Birdy recently asked me if I would teach her how to write a book this summer. I'm inspired by the possibility that this summer holds for our family - fun times and new adventures together. And hopefully, this summer will hold new possibility for me in other ways as well. What's up with you? What exciting plans do you have for the summer? 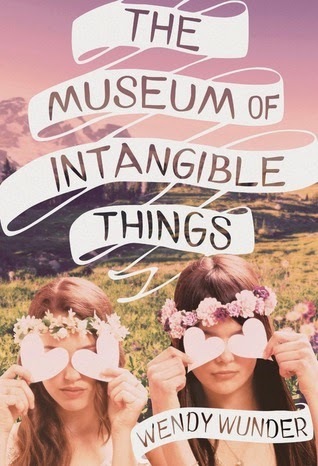 The Museum of Intangible Things sounds really interesting. Thanks for sharing it. Love your pics! I know what you mean about so many books, so little time. I am there as well. But on the writing front, I joined in on the Magic Spreadsheet over on Google+ after learning about it through Mur Lafferty's podcast. I have written 250+ words every day for 10 days now! woo!Happy Wednesday! Your summer plans are inspiring! We have a few big things planned, but I need to sit down and figure out some small ones. It might be my daughter's last summer with us, depending on when she starts college...Gosh it goes fast. Summer adventures sound really fun! It's great to make the most of the season and the nice weather. :) Good luck with the revisions, too! Gorgeous photos, Sara, and I love this idea of a Summer of Adventure. I might have to borrow. :-) And please let me know what you think of THE MUSEUM OF INTANGIBLE THINGS. Its cover always catches my eye, but I've yet to pick it up... Should I? Best of luck with KEYS. Hope to write/revise with you again tonight. I'm getting lots done! Love how much you've planned to do in the Summer. I can't wait for the holidays. The idea of them always inspires me to use the time wisely to get things done. I always want to be as productive as possible! Have a fantastic summer! Tiny amounts of writing is still writing. Go you! Your adventurous summer sounds awesome! I hope you guys have lots of fun! Sara I'm glad that you're keeping up with your writing. :D Your summer sounds a lot more fun than mine. When me and my brothers started high school, we stopped going on fun vacations like that. But I cherish my childhood memories. Thanks for sharing. 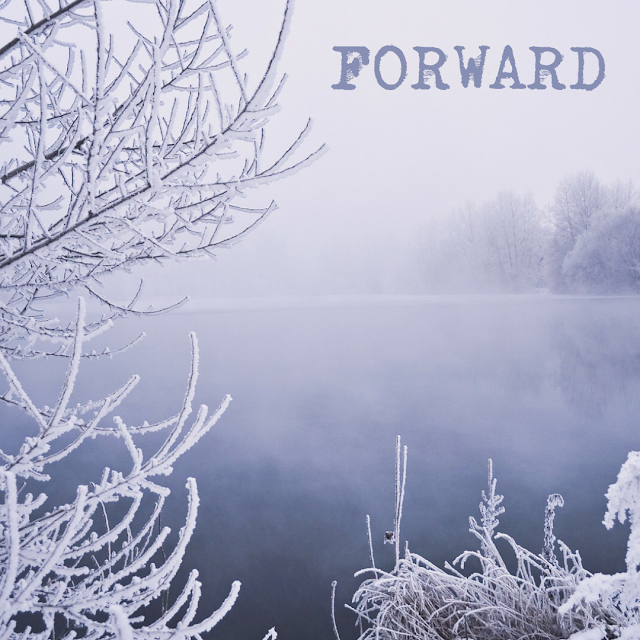 Love that idea about doing something new in a place you've already been before. I want to do a few different things with my kids this summer too, try out some stuff locally that we've never done before. Hopefully it all works out (and I don't forget! ).